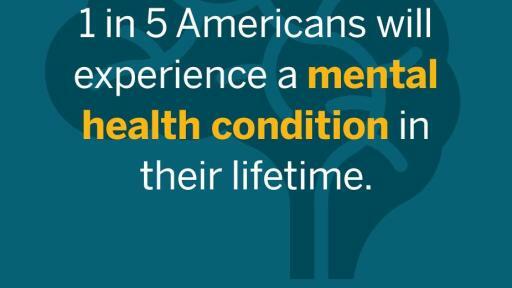 One in five Americans will experience a mental health condition during their life. May is Mental Health Awareness Month. Nine out of ten times when someone dies by suicide, they have a diagnosable mental health condition at the time of their death. 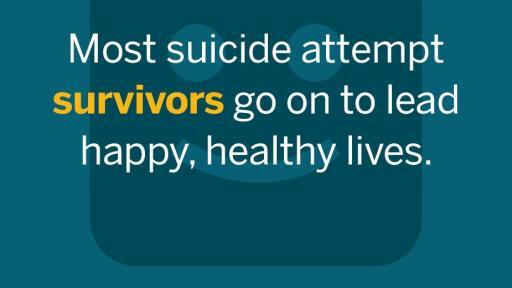 However, mental health conditions are treatable, and most people who attempt suicide go on to live healthy productive lives. 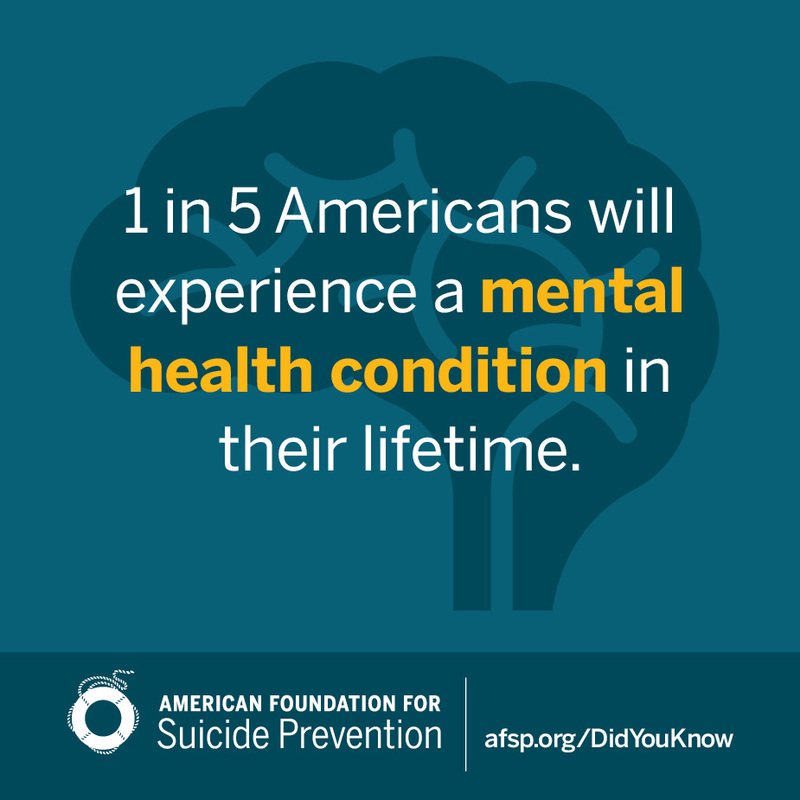 Join the American Foundation for Suicide Prevention, the largest suicide prevention organization in the United States, in celebrating Mental Health Awareness Month. By drawing attention to the importance of mental health we hope to save lives and bring hope to those affected by suicide. Taking care of your mental health is the smart thing to do. 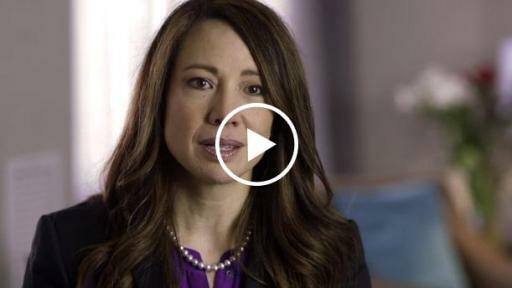 The American Foundation for Suicide Prevention is dedicated to saving lives and bringing hope to those affected by suicide. 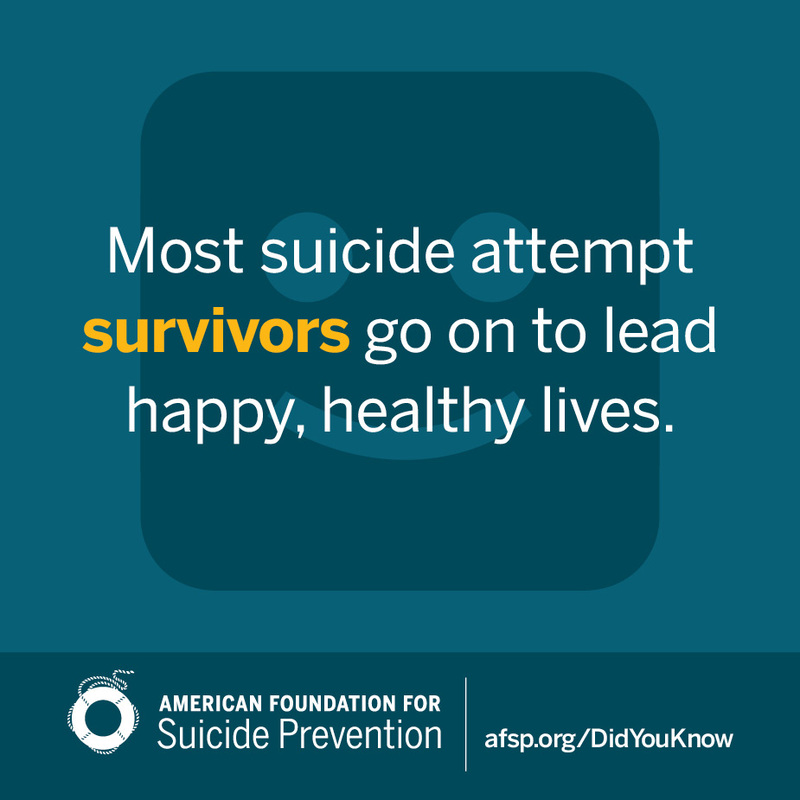 AFSP creates a culture that’s smart about mental health through education and community programs, develops suicide prevention through research and advocacy, and provides support for those affected by suicide. Led by CEO Robert Gebbia and headquartered in New York, and with a public policy office in Washington, D.C., AFSP has local chapters in all 50 states with programs and events nationwide. 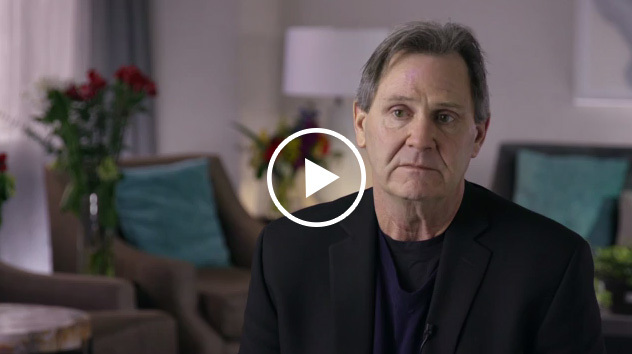 Learn more about AFSP in its latest Annual Report, and join the conversation on suicide prevention by following AFSP on Facebook, Twitter, Instagram, and YouTube.